Perfect for Vegans and Vegetarians. Low Sugar and High fibre! Golden, slow-baked British jumbo oats with flavoursome cherries & nutty almonds. Suitable for a vegan or vegetarian diet. These delicious granola snacks are flavoured using chicory root, allowing them to have less than 5% sugar. It also helps to boost the fibre content! Using only British wholegrain jumbo oats, These granolas are slow baked in small batches at a low temperature to achieve a deliciously toasted & nutty taste! We love pairing our Cherry & Almond Low Sugar Granola with natural Greek yoghurt, such as our FAGE Greek Yogurt, and chopped fruits but it’s also delicious with milk, as a dessert topper or if you can’t resist, straight from the pack! Allergy Advice: For allergens see ingredients in bold. May also contain other nuts. Contains only naturally occurring sugars. Suitable for vegetarians and vegans. Veg à table vegetable patties are delicious vegetable patties made from butternut, sweet potato, quinoa and coral lentils. Pea protein is used, providing a more complete nutritional supply than simple vegetables. Pleasure, flavours, friendliness and naturalness, all the ingredients for a successful meal are there! 100g per patty, 200g per box. Vegetables 48% (grilled butternut 32%, carrots, sweet potato 25%, coral lentils 12%), rehydrated pea protein, quinoa 6%, coconut milk, potato starch, rapeseed oil, parsley, turmeric, coriander, onion, garlic, salt, pea fibre. Veg à table vegetable patties are delicious vegetable patties made from butternut, sweet potato, quinoa and coral lentils. Pea protein is used, providing a more complete nutritional supply than simple vegetables. Pleasure, flavours, and sustainability, all the ingredients for a successful meal are there! Oven: remove the cover and reheat for 15 minutes at 180°C in a convection oven with no grill function. Vég à Table reinvents the traditional recipe for stuffed vegetables by putting its know-how and love of vegetables into it. Delicious candied courgettes stuffed with a 100% vegetable preparation will excite the taste buds of the even the most gourmet. Pleasure, flavour, and sustainability, all the ingredients for a successful meal are there! Vegetable stuffing 55% (tomatoes 78% (candied tomatoes 47%, fresh tomatoes 47%, tomato concentrate), pea protein, rapeseed oil, salt, spices, aromatic herbs, onion, garlic), candied courgettes 45%. Vég à Table reinvents the traditional recipe for stuffed vegetables by putting its know-how and love of vegetables into it. Delicious candied tomatoes stuffed with a 100% vegetable preparation will excite the taste buds of the even the most gourmet. Candied tomatoes 50%, vegetable stuffing 50% (tomatoes 78% (candied tomatoes 47%, fresh tomatoes 47%, tomato paste 47%), pea protein, rapeseed oil, salt, spices, aromatic herbs, onion, garlic). Are you ready for a meatball party? Yes, but veggie! Enjoy these delicious veggie balls with candied tomatoes: soft & delicious, they will delight your taste buds! Tomatoes 73% (candied tomatoes 47%, fresh tomatoes 47%, tomato concentrate), pea protein, potato starch, rapeseed oil, salt, spices, aromatic herbs, onion, garlic. 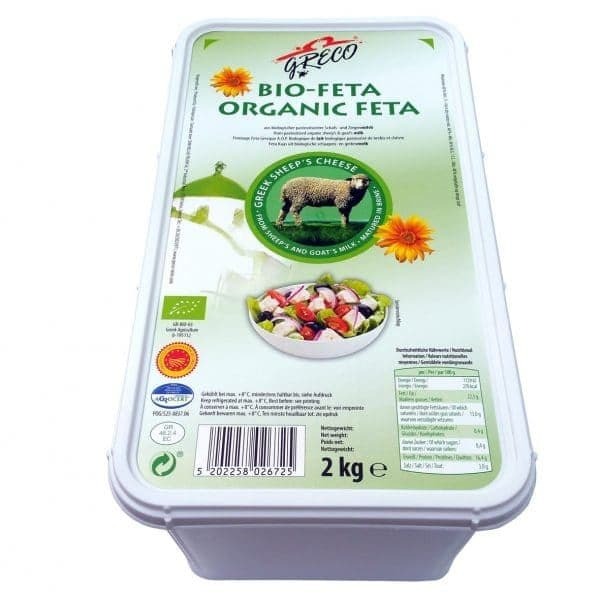 Protein rich, Good source of Fibre, Gluten-Free, Appropriate for Vegetarians and Vegan. Roasted and toasted almonds are the key ingredient to making our Almond Butter & Salted Caramel Instant Porridge Pot completely dairy-free (not to mention completely mouthwatering). Look out for the vegan society logo on the side of the pot! 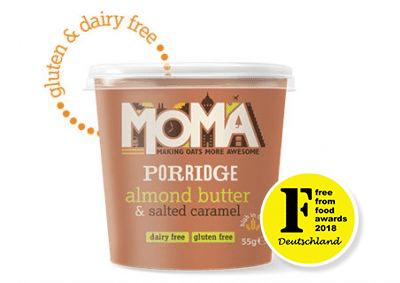 Whether you’re thinking about becoming fully dairy-free, or just looking for a vegan breakfast option, you’ll fall in love with our vegan Almond Nut Butter & Salted Caramel Porridge. Sweetened with just a little bit of natural coconut sugar, our Almond Butter & Salted Caramel Porridge Pot is packed full of plant based goodness, from start to finish. The Free From Food Awards recognize the best products from the FREE FROM area. To participate in the Free From Food Awards, all products must be available free of at least one of the 14 major allergens and for sale in Germany. In addition, the products must meet certain FREE OF criteria according to the various categories. The products are evaluated by a jury consisting of FREE OF experts, chefs, manufacturers, consumers and other relevant specialists from the FREE OF area. 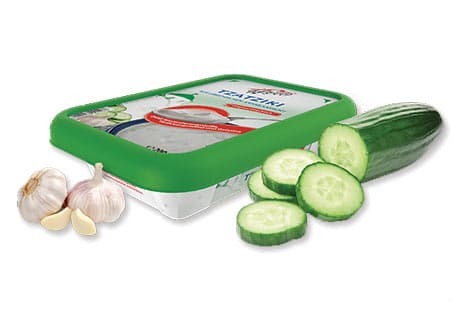 The winners can proudly present themselves as leading manufacturers of a FREE OF product of high culinary quality. Fusing together two delicious flavours, our new Almond Butter & Salted Caramel Instant Porridge Pots combine the sweetness of decadent dates and the roasty-toasty flavour of almonds in a convenient vegan friendly instant porridge pot. 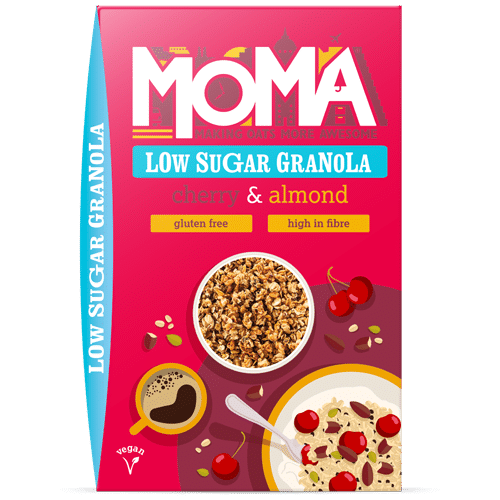 Wholegrain gluten free oats (59%), roasted ground almonds(17%), dates (dates, rice flour), coconut sugar, roasted almond pieces (3%), sea salt (1%), natural flavouring. 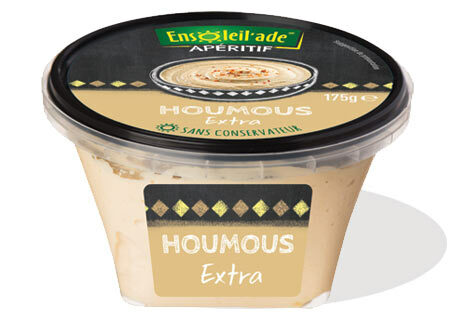 Protein rich, Good source of Fibre, Gluten-Free, Appropriate for Vegetarians. For the perfect pot, add hot water from a recently boiled kettle to the fill line, wait 3 – 4 minutes and your MOMA Golden Syrup Porridge will be good to go. If you’re a fan of an extra crunch in your porridge, why not add some chia and linseeds? 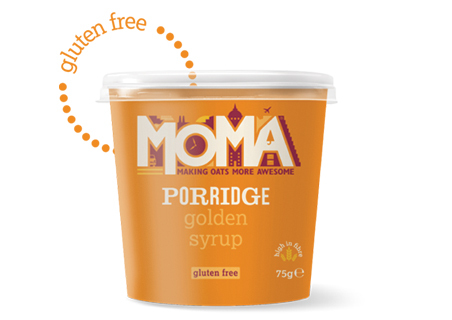 MOMA’s Golden Syrup porridge pot is deliciously tasty and the perfect breakfast to start your day awesome. Using gluten free jumbo and fine oats with natural flavouring, it ticks all the boxes. Apple & Cinnamon is a tried, tested and well loved combination. With the aromatic warmth of the cinnamon nestling in with the natural sweetness of the apple pieces, it’s no wonder this delicious blend makes into MOMA’s newest porridge pot. The awesome almond has an extensive list of health benefits: high in fibre, protein and vitamin E - almonds are a true superfood! That’s why our newest instant porridge pot is packed full of them! Made with almond milk and flaked almonds, we’re using all of the almonds! What’s more, since we only use almond milk in our Apple & Cinnamon porridge pots, they’re completely dairy free! Perfect if you’re looking for a new non-dairy breakfast option. MOMA’s Apple & Cinnamon instant porridge pots are packed full of apple pieces, bringing a naturally sweet flavour to our porridge oats - completely natural, nothing nasty! Our delicious dairy free and gluten free porridge pot family is growing and our latest addition is a real beauty! 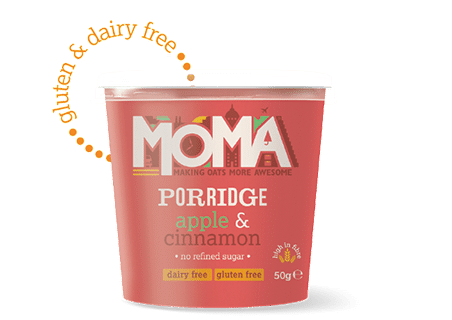 Our new MOMA Apple & Cinnamon instant porridge pots are made with our signature blend of jumbo and fine gluten free oats, almond milk powder, flaked almonds, juicy apple pieces and warming cinnamon. Contains naturally occurring sugars. Suitable for vegetarians and vegans. 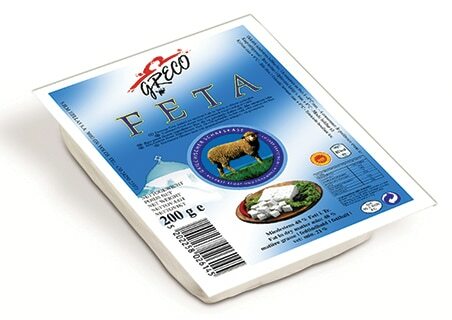 Good source of fiber and protein, gluten free, suitable for vegetarians and vegans. Also available in family pack of 8 steaks per box in selected stores. Look in the menu under "Food Service Line". Combining grilled yellow peppers and semi-dried tomatoes with natural seasoning and pea protein. Can be enjoyed cold, grilled, seared. For a quick fix, 45 sec in the microwave (high) and it’s ready. 75g per patty, 150g per box. Grilled yellow peppers, Semi-dried tomatoes, water, pea protein, tomato concentrate, rapeseed oil, potato starch, garlic, parsley, oregano, salt, pea fiber, pea starch, lemon juice made with concentrate. Made with semi-dried and grilled tomatoes and natural seasoning and pea protein. Semi-dried tomatoes, rehydrated pea protein, tomato concentrate, rapeseed oil flavored with basil, (rapeseed oil , basil aroma , potato starch, parsley, chives, oregano, garlic, salt, pea fiber, pea starch, concentrated lemon juice. Also available in family size of 400g in selected stores. Look in the menu under "Food Service Line".